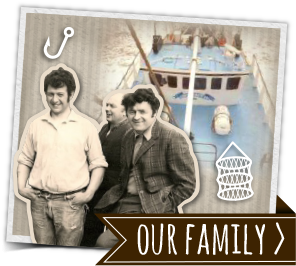 It’s not just the delicious, fresh food that attracts tens of thousands of diners to the Anstruther Fish Bar each year. Our staff work hard to make sure everyone who pays us a visit receives friendly, efficient and polite service from the moment they arrive at our famous restaurant. We don’t do fast food, as all orders are cooked fresh, on-demand. We do good food, served as quickly as we can without compromising on quality. But, even if customers are queueing, our servers make sure they’re kept informed about waiting times. And they’re happy to answer any queries – whether they’re about our menu, our business or the local area. We’re a family business run by husband-and-wife owners Robert and Alison Smith, so it’s no surprise that our children, nieces or nephews can often be found rolling up their sleeves to help out. 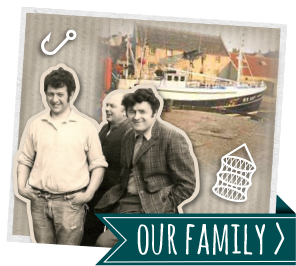 But the wider family of our workforce are just as important to the Anstruther Fish Bar experience, and their distinctive, clean, white uniforms have become an established trademark of our service. From part-time potato preparers and kitchen porters to our waiters and waitresses, our employees are valued, and able to benefit from quality training and development. In this way, they deliver customer service described by the Herald Magazine as ‘almost telepathically good’. 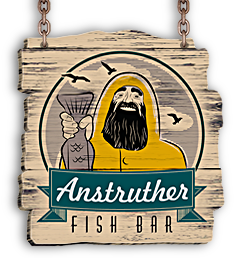 Anstruther Fish Bar and Restaurant earned Investors in People status in 2008 and, that same year, it won the UK Fish and Chip Shop of the Year Competition’s Staff Training and Development Award. The family business has also been awarded a Fife Business Excellence Award for its staff training and development. Come and visit us at Anstruther’s picturesque harbourfront. 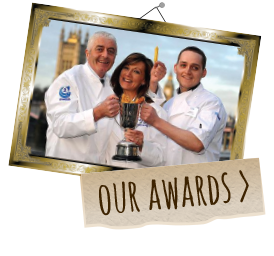 You’re guaranteed a very warm welcome from our award-winning team. 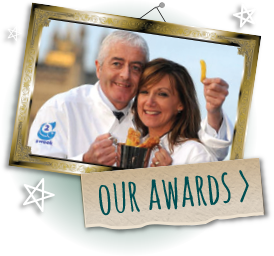 Only four of our expert fish fryers know the secret formula for our delicious, crispy batter. Long service is the norm in our workforce and, since 2003, ten team members have received special presentations for their years of hard work and loyalty.